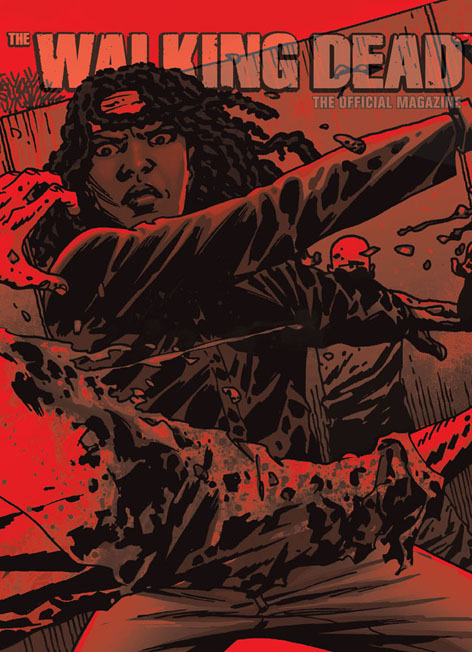 THE WALKING DEAD, THE OFFICIAL MAGAZINE LAUNCHES TOMORROW! 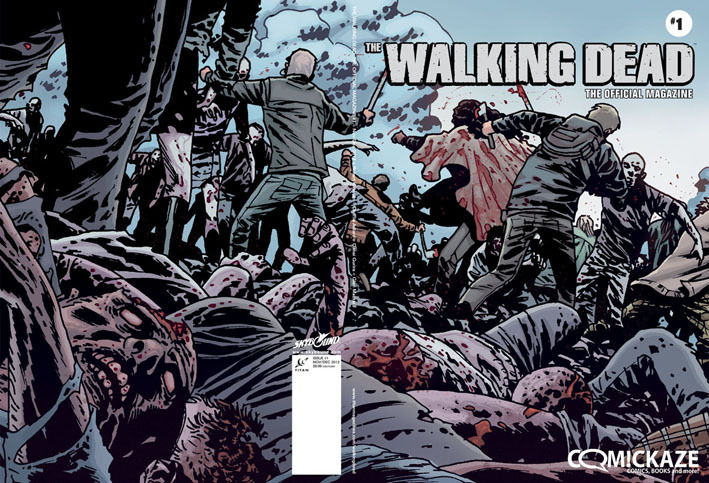 Hotly anticipated first issue of The Walking Dead, The Official Magazine hits newsstands and digital platforms. 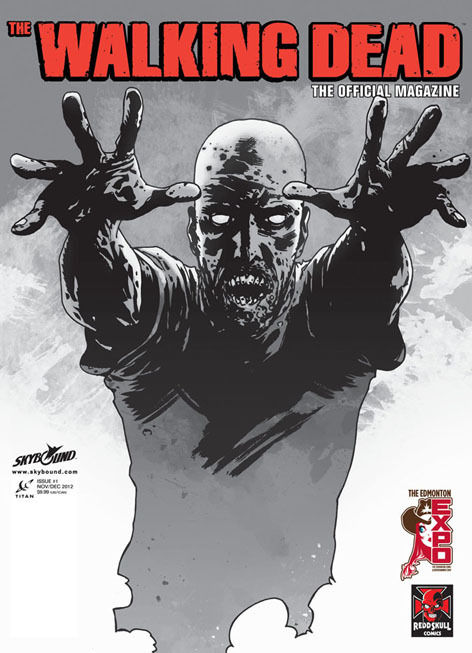 Titan Magazines and Skybound’s premier issue of The Walking Dead, The Official Magazine, based on Robert Kirkman’s Eisner Award-winning comic book series, best-selling graphic novels and Emmy-winning AMC television series, hits newsstands and digital platforms on October 23. 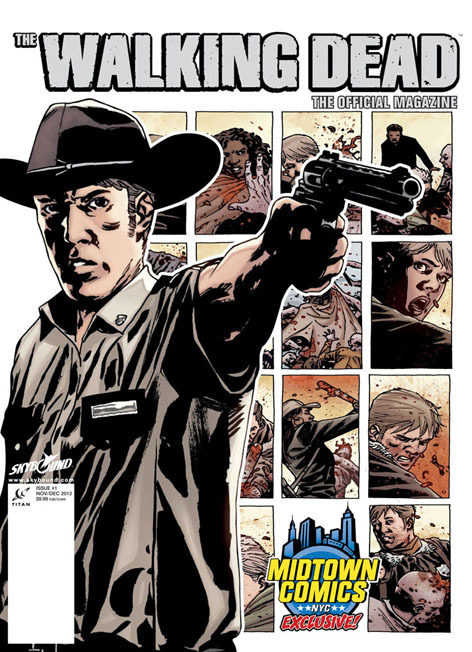 This 100-page issue features an inside look at the TV show, comics and everything in-between: The Walking Dead creator/writer Robert Kirkman reveals what’s coming up next on the TV show, which broke basic cable records again with the season three premiere, and how the shocking events of issue #100 of The Walking Dead Comic will affect Rick and our favorite survivors; an exclusive interview with Danai Gurira, who plays the iconic character “Michonne”; an exclusive prologue to the new Walking Dead book, The Road to Woodbury, about the rise of Philip Blake aka The Governor written by Jay Bonansinga and Robert Kirkman; behind-the-scenes set visit report; executive producer/showrunner Glen Mazzara tells us why he’s so excited about season three; plus, all the latest news, revelations and tips for fans of the entire The Walking Dead universe. 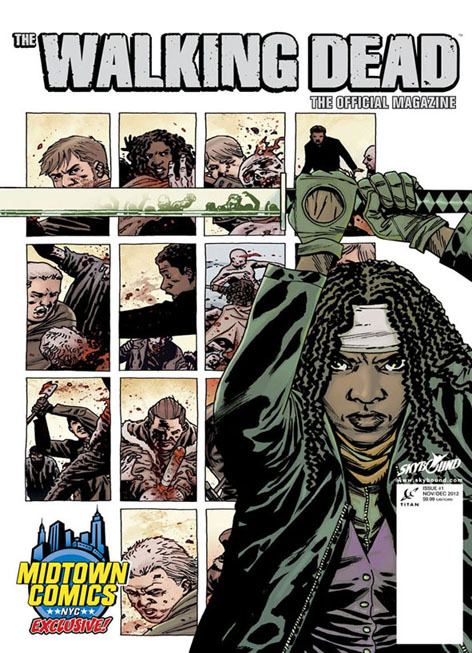 The first issue debuted at this year’s New York Comic-Con with a special NYCC variant cover, and an additional nine variant covers are released tomorrow: a newsstand cover featuring “Michonne”; an alternative art cover by The Walking Dead comic artist, Charlie Adlard and colored by The Walking Dead comic colorist Cliff Rathburn; seven retail variant covers with stores Comickaze, Forbidden Planet, Midtown Comics, Redd Skull Comics, Ultimate Comics, Ultimate Treasures and Wade’s Comic Madness, each featuring art by Adlard and Rathburn. The magazine will also be available to read on the iPad, Nook and Kindle Fire starting tomorrow, giving Walking Dead fans an exciting alternative to the print edition and a high quality digital reading experience. 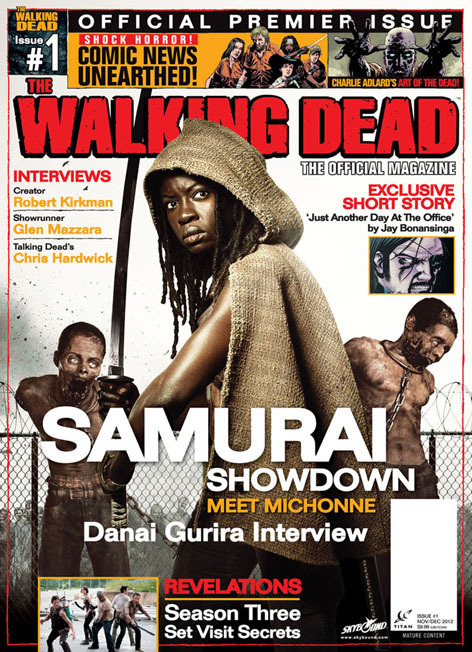 Just search ‘The Walking Dead Magazine’ on your device’s newsstand or app store. The magazine is currently offering fans an exclusive FREE The Walking Dead T-Shirt (not available in stores) with new print subscriptions. 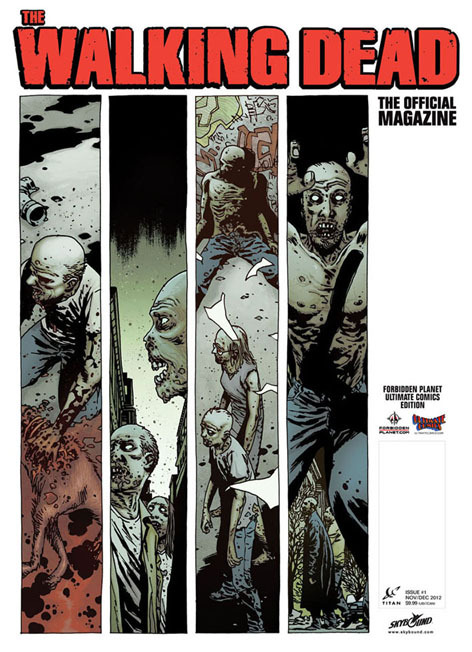 For more information on this subscription offer and other offers in your territory, visit the magazine website,www.TitanMagazines.com/WalkingDead. 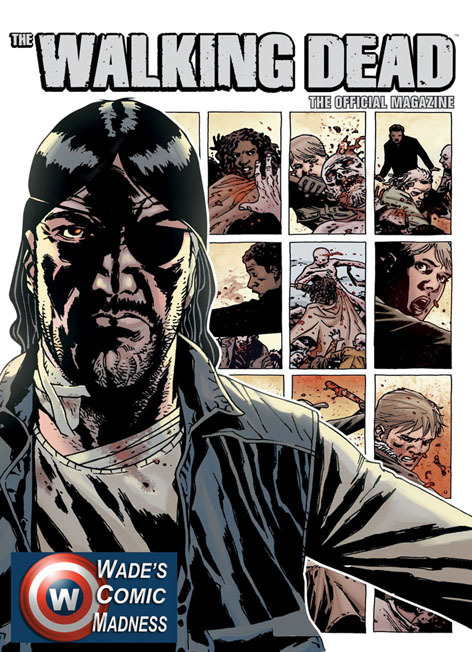 Readers can also join the magazine on Twitter at www.Twitter.com/WalkingDeadMag and Facebook at www.Facebook.com/WalkingDeadMagazine to keep up to date with news and special offers and www.Skybound.com, the source for all news on The Walking Dead, Robert Kirkman and all Skybound titles. 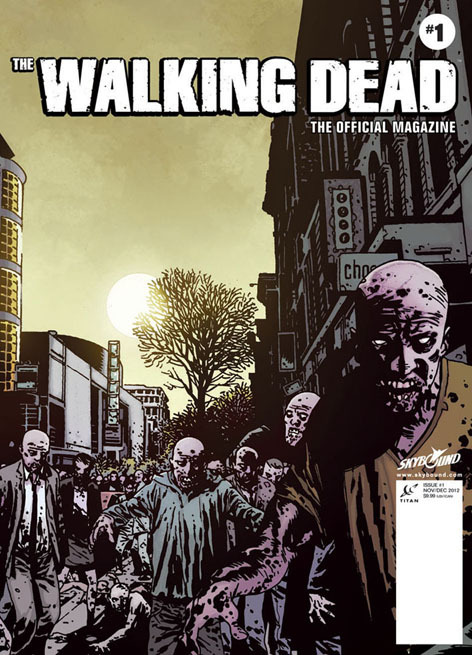 The Walking Dead, The Official Magazine issue #1 will be available on newsstands and comic book stores in the U.S. on October 23, in the U.K. on November 8 and Australia & New Zealand on December 18. 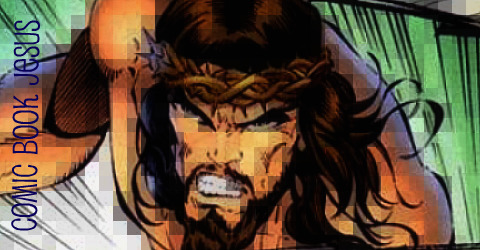 Digital editions will be available globally on the iPad, Nook and Kindle Fire from October 23.